♥ "To My Daughter... 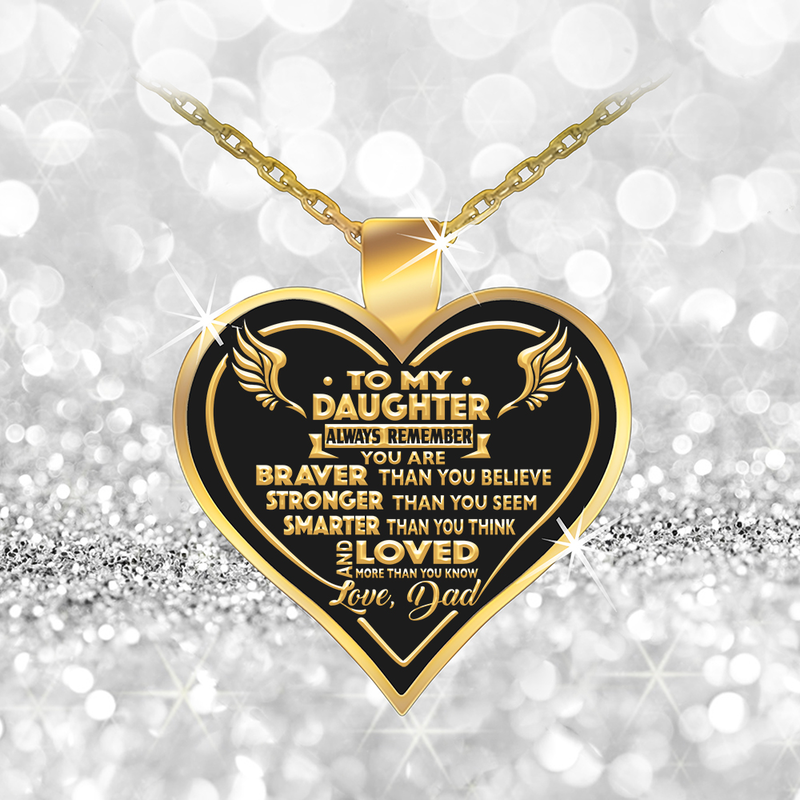 Always Remember You Are BRAVER Than You Believe, STRONGER Than You Seem, SMARTER Than You Think And LOVED More Than You Know... Love, Dad"
I had purchased this item for my daughters birthday in December. She has not seen it yet, however my wife has and it is very beautiful, and the crafsmanship is wonderful. Very satisfied with the necklace. I LOVE this item!!!! My daughter loves this necklace, and i believe it has further increased the bond we share. She never leaves home without it. I wanted to give this to my daughter. This way she will always remember that she can do anything her heart desires.